LEGO Back to the Future – IT”S HERE!! 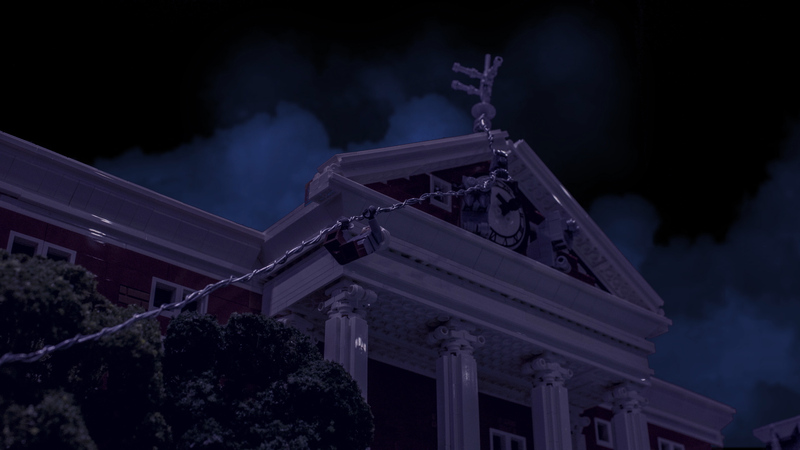 Last year I was contacted to ask if I would build the courthouse from Back to the Future for a LEGO version. As is turns out, the plan was to shoot the entire penultimate scene in an exact Lego replica of the original movie. 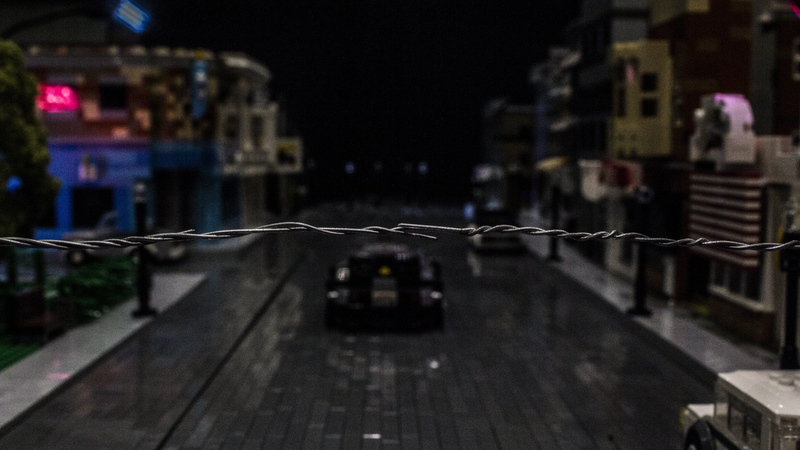 By the time Brick 2014 arrived, my part in the project was over after about 5 months of a gradually enlarging set of LEGO Back to the Future was moved from my living room to the London Excel Centre. Andy Watts from minifigforlife made the custom clock face and the custom Doc minifigure while Warren Elsmore kindly lent me a lot of grey bricks to raise the set up a brick height! Vicky Smith and Daniel Jamieson painstakingly took photo after photo during the show. Their colleague Chris Hetherington was involved in some of the technical wizardry such as the fire and the lightening plus the opening and closing credits. 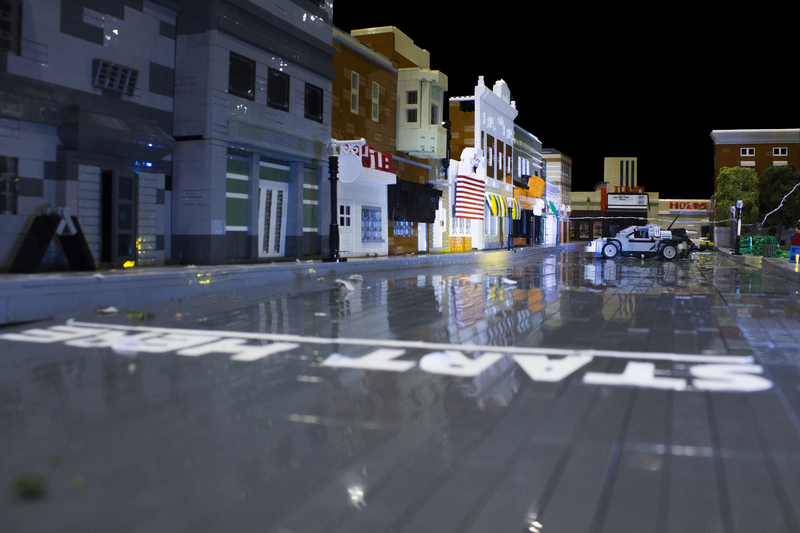 I am absolutely amazed by the process and all the post production work and very excited to present Macro Lego Universe’s version of the penultimate scene of Back to the Future. 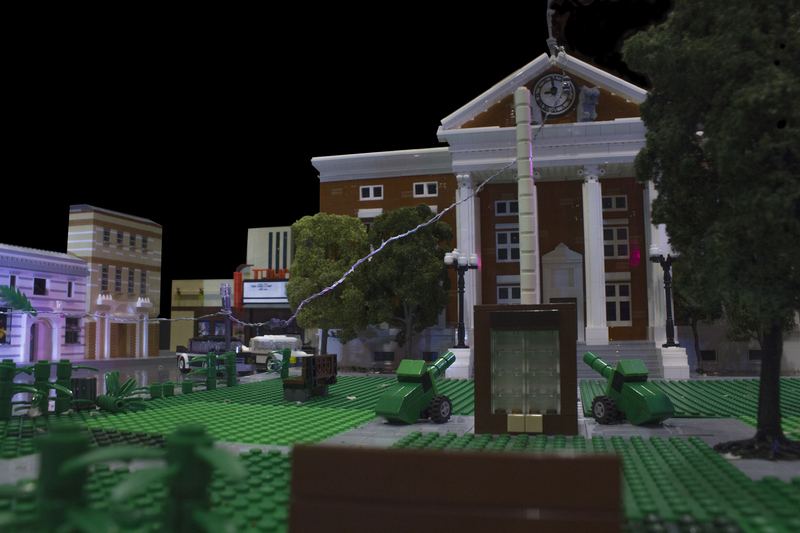 Categories: Back to the Future | Tags: Back to the Future, Brick 2014, Courthouse Square, Daniel Jamieson, Doc, istopmotion, Lego, Macro Lego Universe, Marty, stop motion, Vicky Smith | Permalink. 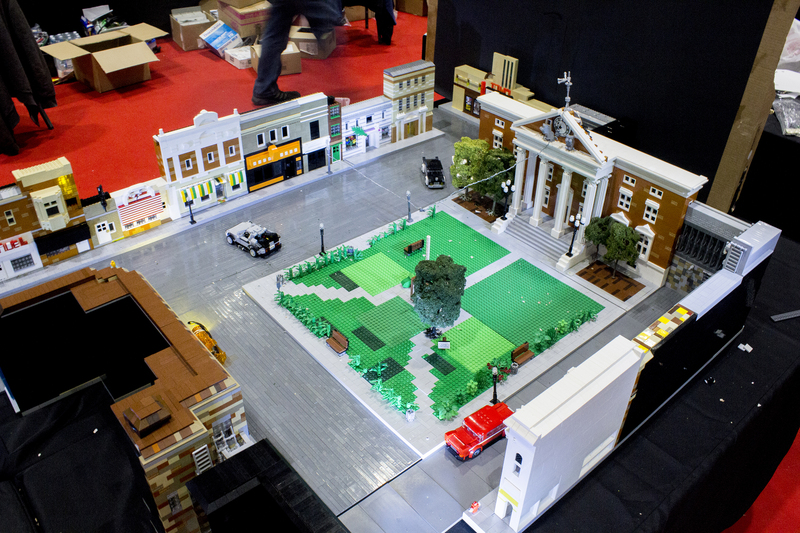 Lego Back to the Future was built and animated at Brick 2014. Hill Valley Courthouse, Doc’s slide down the wire. 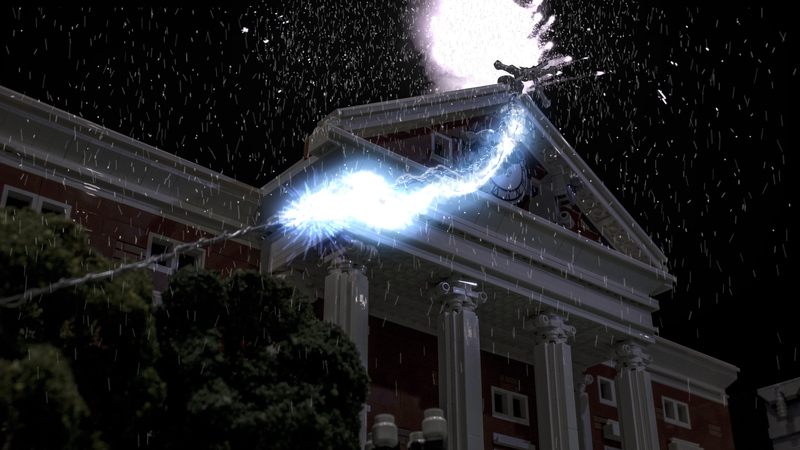 Lightening strikes the clock tower. Categories: Lego | Tags: Back to the Future, Brick 2014, Courthouse Square, Delorean, Doc, Hill Valley, Lego, Macro Lego Universe, Marty | Permalink.